I’ve been writing some children’s city guides for Lonely Planet, and while doing so I discovered the whereabouts of the real Winnie-the-Pooh. He left the Hundred Acre Wood behind long ago and, along with his friends Eeyore, Piglet, Kanga and Tigger, he’s been living in New York, along with David Bowie (that‘s two of my biggest heroes in the Big Apple now). Pooh and his crew are living on 42nd Street, in the Children’s Center of the New York Public Library, and not everyone is happy about it. The UK Times pointed out that “Winnie the Pooh is not just a reference to a fictional bear, but to a national concept of a childhood Eden." Ironically (I expect) echoing Greece’s demands for the return of the Elgin Marbles from the British Museum, the thundering editorial called for this “plundered piece of history” to be returned to live in a purpose-built museum in the Ashdown Forest in East Sussex (the inspiration for the Hundred Acre Wood). 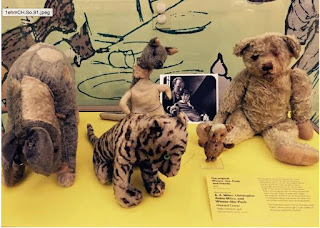 Meanwhile America’s Newsweek described the toys as “being in prison” (they are in a bulletproof glass case), and called Winnie “the Elvis of stuffed toys”. The Library denies any possible emotional toy trauma issues, saying the world-famous stuffed stars “are as happy as when they lived in the Hundred Acre Wood.” All pressure has been resisted to repatriate the “Furry Five”, even after PM Tony Blair apparently discussed it with President Bill Clinton back in the day. The story goes that Winnie was bought from Harrods in London, along with his stuffed friends, and given to Christopher-Robin Milne as a young boy. He played with them up the age of nine or so, during which time his journalist father A. A. Milne created imaginary stories about them. In 1947 the US publisher of the books visited the home of the Milnes and saw the toys. Smelling a commercial opportunity he asked for the toys, and soon they were winging their way to the offices of US Publishers E. P. Dutton & Co, eventually to be donated to the New York Public Library in 1987. Any thoughts of a crying bereft boy would be wrong, however. Christoper-Robin Milne apparently readily agreed to them leaving, saying he was an adult now and had left childhood behind. Now that's sad. The New York Public Library assure us that Winnie and friends are looked after very well in their new home. They get vacuumed and repaired regularly. During a recent repair (the library said they were ‘going for spa treatment’) they were replaced on display by…Wait a minute! What’s this? They were replaced by the original umbrella and carpet bag that inspired Mary Poppins, once owned by author P.L. Travers. The Library have that, too! Call the PM immediately! 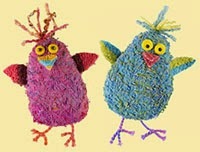 I wonder if any of you have found writing inspiration from an object that you or your children/young relatives own. If so, tell us about it, and please, please take care of it! Moira has a series of new history books, Britain in the Past, for ages 6-8, published by Franklin Watts. Somewhere in her Dad's loft there are some Roman coins picked up in childhood. Oh, poor Christopher who had 'left his childhood behind'. Now, that's what's REALLY gone missing and needed finding! I suspect lots of us need to go through that leaving childhood behind phase before recognising that it is, and should be, always with us. There's a certain age that doesn't watch children's films, and then people come back to it. I went to a screening of the Paddington film last weekend - lots of children, lots of adults without children, lots of elderly, no teenagers. It's a wonderful film. Now, where is the original Paddington bear, I wonder? Yes, there's absolutely a certain age when teenagers reject everything, and then come back to them later. My son decided to throw a lot of his stuff away but luckily for him I rescued most of it and put it up in the loft. Now he's pleased I did that. From what I read, however, it seems Christopher never came to regret casually giving away the toys. I hope Michael Bond owns the original Paddington Bear! The Elvis of stuffed toys! Bless my soul, what's wrong with them. . . ? What a dumb thing to say. I don't think Christopher Robin had a very happy life from what I've read. Must have been strange having to live up to a fictional character. . . Also, wasn't A.A. Milne's house bought by Brian Jones of the Rolling Stones in the late sixties? There's probably a lesson here - We need to be careful using our kids for inspiration...Brian Jones, eh? Another sad tale! Oh my goodness, what a story! I feel a hashtag coming #freewinniethepooh! Maybe they could come here on tour, along with David Bowie. Come on, David! Bring them in your suitcase! Fascinating, Moira. I keep telling people that America is filled with a bunch of Anglophiles, and I think this is proof in the pudding. We aren't storing the bones of Peter Rabbit anywhere over here, are we? Hee hee! I'm sure that Winnie is very well cared for. Thought it was a fun story, though.